You might have heard of açaí before. My local Robek’s has been selling açaí juice for while now, and although I’ve seen it on the menu, I never knew what it was or how to even pronounce it. Açaí, prounounced ah-sigh-ee, is a small round fruit that is similar in size and appearance to a grape and comes from an açaí palm. A popular fruit in Brazil, where it is grown and then eaten as an ice cream flavor, granola mix-in, or juice, the açaí berry has recently crossed the hemisphere divide and has become more popular in the United States. Zola Açaí offers a wide variety of beverages, ranging from pure açaí juice to blended smoothies. We got an opportunity to try the Zola Açaí Original Juice as well as their four new Superfruit Smoothies. WCatDD Testers say: Zola Açaí Original Juice is where you get a flavor of the true açaí berry flavor. USDA Organic certified, the juice is a deep purple color and the texture is nice and smooth. The best description I could think of in terms of flavor was that it was like highly concentrated grape skin juice. It has a very strong berry flavor that isn’t overly sweet. The juice also has a mild tartness that gives it a somewhat “dry” aftertaste. WCatDD Testers say: The Zola Açaí Immunity Smoothie reminded me of a delicious fruit smoothie that you might pay $6.00 for from a smoothie store. The strawberry, banana, and pineapple flavors give the Zola Açaí Immunity Smoothie a tropical taste with a tangy kick at the end, courtesy of the Brazilian acerola cherries. That’s probably where the bottle get’s it’s tagline – “Tangy Tart Blend.” The smoothie is packed with 270% of your percent daily value of Vitamin C to help support your immune system. WCatDD Testers say: Unfortunately, I don’t have a picture of the Zola Açaí Energy Smoothie Tropical Blend because the tester drank it so quickly. Using the exotic caja fruit and açai, plus the energizing yerba maté and quarana, the Zola Açaí Energy Smoothie is a pleasantly sweet drink that gives you a little jolt of caffeine. Pineapple, pear, and apple juices and purees also contribute to the tropical flavor. 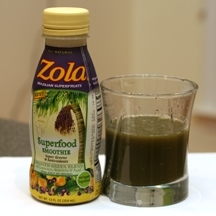 WCatDD Testers say: While normally I don’t drink green things (seriously…look how green that is) I was very pleasantly surprised by how much I enjoyed the Zola Açaí Superfood Smoothie. The green color comes from it’s Green Boost Blend which includes Spirulina, Chlorella, Barley Grass, Spinach, Broccoli, and Ginger.) After repeatedly sipping the drink with my eyes closed, I couldn’t taste any of the “green” flavors and instead distinguished an açaí flavor with a hint of sweetness (from the banana, apple, and pear puree and juices) the most. WCatDD Testers say: Out of all the smoothies, I think this one was my favorite. The Zola Açaí Antioxidant Smoothie has the signature Açaí purple color but has a much sweeter flavor. The banana puree is also a nice addition, giving the drink a smoother flavor while the added Concord Grape Juice gives it that extra sweetness. 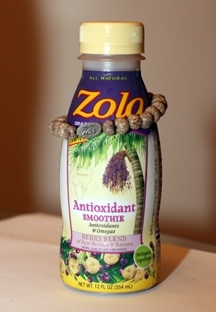 According to the packaging, each bottle of Zola Açaí Antioxidant Smoothie contains 125 mg of Polyphenol Antioxidants. Each smoothie had a unique flavor but still had a consistent açaí flavor. I liked that every smoothie offers different benefits based off the ingredients in the smoothie, yet all of them were still nutritious. I was impressed how “full” I was after drinking the smoothie, making it an ideal healthy afternoon snack. Zola Açaí Brazilian Superfruit Smoothies and Superfruit Juices are available at select grocery and natural food stores nationwide for $2.99-$3.29 per bottle. For more information about Zola Açaí, Project Zola, or to find a store near you, please visit www.drinkzola.com. 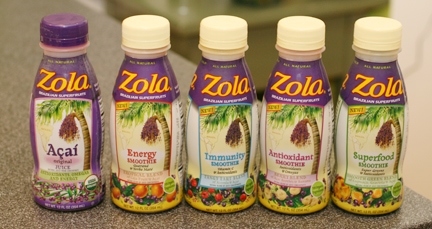 If you would like to try Zola Açaí Juices or Smoothies for yourself, you can buy Zola online. 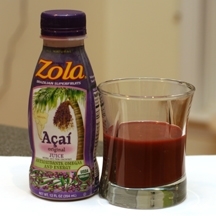 You can also enter the WCatDD Zola Açaí Superfruit Smoothie Giveaway! One winner will receive the full line of Zola Açaí juices and smoothies, a Project Zola bracelet (made from Açaí seeds) and a Zola minicooler. THIS ENTRY IS REQUIRED FOR ALL OTHER ENTRIES TO BE VALID (+1): Visit www.drinkzola.com and tell me which juice or smoothie you would like to try the most. Giveaway ends at 11:59 PM EST, February 9, 2010. Disclaimer: This post consists of my (and/or fellow tester) opinions only. Your experiences may be different. No compensation was given for this review/giveaway. I did receive free samples of Zola Acai Juice and Smoothies from the manufacturer or their representing PR agency to use and test for the purposes of this review. This did not affect the outcome of this review. 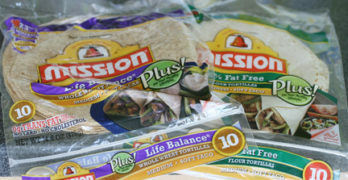 I am not a medical professional and make no guarantee for the nutritional information or health benefits in this post. Please verify all health claims directly with Zola Acai. 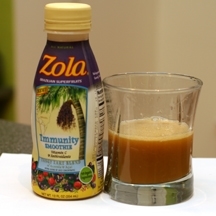 I'd like to try the Zola Immunity Smoothie- my husband has been recovering from the flu and I could be next. 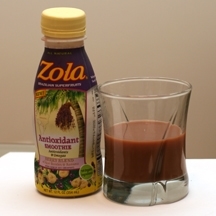 I would like to try the Zola Superfood Smoothie. I would like to try the Zola Açaí Superfood Smoothie. The one I would like to try first is the Açaí with Pineapple! I voted for your site. #119 Vote. Please accept my entry. Thank you. I could use the energy smoothie! The açaí berry has recently crossed the hemisphere divide and has become more popular in the United States which is quite true in real sense more then 90% is sold in U.S. I started drinking Power Tea only 2 weeks ago. I have missed a lot of my workouts and yes I really feel bad because I’ve paid for a membership with the gym I go to, but I still managed to lose 5 lbs! Actually nothing much changed in my lifestyle. I take the tea and still walk downtown for work and that’s about it. I was really struggling before because I had no time to go to the gym. It was such a breakthrough for me. I also learned about an instant business program that they’re offering but I haven’t actually tried that yet. 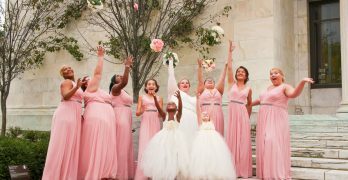 You can go to this website http://if1s.com?136, and know more about it. I’ll try it in the next few weeks and will you know if it’s as good as it sounds too.